BlueVPN is one of the most top free vpn service in the Philippines. According to their website, "BlueVPN provides a secure environment for everyday web use. Once you establish a VPN connection all of your online data (emails, instant messages, data transfers, online banking) pass through our encrypted tunnel." BlueVPN has the following features : DDOS Protection, Secure Transactions, Unlimited Internet, Stops Phishing Attack, Stay Anonymous, Easy To Use, 24x7x365 Support, Unblock Websites, Stops Malware, Download Torrents and Videos From Anywhere. Any kind of openline modem/mobile. "FOR PC/Laptop" - if you are using computer or laptop with USB dongle, Pocket WiFi or 936 Modem as mode of connection. "FOR ANDROID PHONES ONLY" - if you are using Android phone or device with a sim slot. "FOR IOS/ANDROID(OPENVPN CONNECT)" - if you are using OpenVPN Connect for iPhone and OpenVPN for Android. Find the latest client which is usually placed on the latter part of each platforms. You want BlueVPN FREE ACCOUNT? 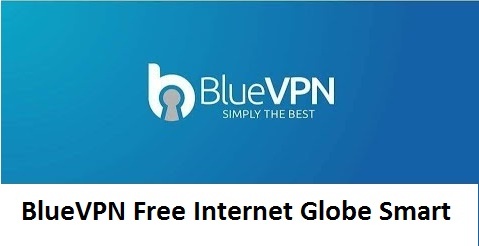 [lock] Visit and join BlueVPN Facebook Group Page https://www.facebook.com/groups/BluevpnOfficialPage and search for the keyword "free account" or "bluevpnfree4all" by using FB group search engine to keep updated for the latest BlueVPN free account. APN : www.globe.com.ph (no load required but expect a slow internet speed due to speed capping). See List of Globe/TM, Smart/TNT, and Sun Promos Used in VPNs as Free Internet. 1. Configure APN first, edit your APN according to your chosen network (please refer to the list of networks APN posted above). 2. Plugin your favorite modem, or open the Mobile Data of your smartphone. 3. Download and run BlueVPN Client. Look for 'Install Adapter' for PC users only. 4. Now, enter BlueVPN free account. (please refer to the BlueVPN Free Account posted above). 5. After entering the account details. Choose "FREE SERVER 1" or "FREE SERVER 2". 6. Then CHOOSE your Network. 7. Click "Connect", and you're done. You can now browse different sites and download direct links EXCEPT FOR TORRENTS. All ISPs are able to block your sim if you download more than 2GB. So, always monitor your download.